Stampin' Up! Swapping With the Mam's! Hey there! A fun thing we do at my team meetings is swap cards. Today I'm sharing May meeting swaps! First, Angie Lisk used Daffodil Delight, new Fresh Fig, Crumb Cake, and Whisper White to stamp Wonderful Wings butterflies! She used new Eastern Medallions Thinlets to create a greeting label stamped with a retiring Circle of Spring greeting. The double circle around the label is from the new Eastern Beauty. Next, Joanne Cantrell designed our May Make & Take with the Eastern Palace Premium Bundle (expiring today)! Finally, Joanne's swap was created with the new Host set, Feathery Friends! Created in the adult-coloring-book-style, she colored with the new 2017-2019 Stampin' Write Markers: Powder Pink, Lemon Lime Twist, Berry Burst, and Fresh Fig! She used a layer of Lemon Lime Twist behind the mostly black-and-white stamped layer and a bow of Lemon Lime Twist 1/2" Finely Woven Ribbon to make the colored birdie pop! Inside she switched the coloring with the same colors for a completely different birdie! I have one more swap to share from Angela, but I'm saving it to kick off the new catalog tomorrow. You are going to love it! Today is the final day you can order from the Retiring List. Today is the final day you can order either one of the Eastern Palace Bundles. All of the items in the bundles will still be available when the new catalog starts tomorrow, but they won't be bundled with the freebies. Be sure to check out the Retiring List and the Clearance Rack while you are there! Stampin' Up! Wood Words In Color Bookmark! Hey there! I've been working on these new In Color Bookmarks to give to everyone who attends my New Catalog Open House! Stampin' Up! was kind enough to prepare a template for this; all I had to do was download, print, and then stamp, punch, and add ribbon! Aren't they pretty! I stamped each color with a different image from the Wood Words stamp set. You are going to have to have Wood Words! The set has 15 stamps, six distressed-looking solid images, a lovely gathering of blooms, and 8 phrases. It's eclectic and kind of country. I stamped the rooster with Fresh Fig! The heart looks so pretty stamped in Berry Burst! I chose Powder Pink to stamp the circle! Lemon Lime Twist is a great star color! Tranquil Tide makes a lovely color for the moon! I used 1/2" Finely Woven Ribbon to thread through the top of each bookmark. Attendees will get to choose the color they like best: Fresh Fig, Berry Burst, Powder Pink, Lemon Lime Twist, or Tranquil Tide! The New Catalog starts on June 1st, which is also the date for the first session of my New Catalog Open House! If you live local to me in Southern Illinois, come see me from 6-9 pm on June 1st or 2nd, and from 10 a.m to 3 p.m. on Saturday, June 3rd! Tomorrow is the last day to order from the Retiring List. After the 31st, all retiring stamps and accessories will be gone! All online orders (that do not check the "no contact" box) receive a Thank You card. Stampin' Up! Fresh Florals New In Colors! Hey there! The new 2017-2019 In Colors are my favorite group of new colors EVER! Berry Burst, Fresh Fig, Lemon Lime Twist, Powder Pink, and Tranquil Tide look great together and with so many of our core colors too! One of the Make & Takes at my New Catalog Open House next week will be one of these cards. The colors across the top starting on the left: Berry Burst, Fresh Fig, Powder Pink. The two bottom colors starting on the left are Tranquil Tide and Lemon Lime Twist! I had to choose ONE color to cut enough paper for the Make & Take, so I decided to go with the Berry Burst version. We will be using all four patterns in the stack! We will be cutting Dazzling Diamonds Glimmer Paper with the new Happy Birthday Thinlet, but before cutting we will adhere a Multipurpose Adhesive Sheet to the backside of the glimmer paper to make adhering to the card a snap! We will mount the greeting on a Berry Burst Layering Oval embossed with the new Oh My Stars Textured Impressions folder, layered over a piece of Berry Burst 1/2" Finely Woven Ribbon. The crowning touch of the card is the Berry Burst 2017-2019 In Color Bitty Bow! These bows are ALREADY TIED FOR YOU! Even better, they come with a tiny round dimensional already attached, ready to adhere to your project! You've GOT TO HAVE THEM! Inside we will stamp sentiments from the new Host set, You're Delightful! Hey there! Once again, every 7 days is time for Sunday Swap Day! yay! This is the last Sunday before the new catalog starts on Thursday, June 1st, so it's my last chance to share with you some really fine swaps with retiring or carrying over products! I love this easel card by Susie Wood using the retiring Special Reason stamp set. The stamps are retiring but the fold is not. I'll be CASEing this fold! Ruth Bingle combined the retiring Irresistibly Floral Specialty Paper and Flirty Flamingo 3/8" Ruched Ribbon with the not retiring Sunshine Wishes Thinlets and Dazzling Diamonds Glimmer paper! Rhonda Bassler combined the retiring Lovely Lace and Happy Heart folders and Sweetheart Punch with carrying-over Petal Burst, Seaside, and Softly Falling folders for another easel-fold card I will be CASE-ing with new products soon! Raedean Shibata Stamped a Blushing Bride Watercolor Wash background before gold heat-embossing a retiring So in Love image and greeting. I took a picture of this carrying-over Swirly Bird/Swirly Scribbles/Better Together swap at OnStage. I also took a picture of this Swirly Bird/Swirly Scribbles owl with a retiring Greatest Greetings sentiment. Finally, my team member Martha Swift created this fun card with retiring Balloon Adventures, So Detailed Thinlets, and Falling Petals folder. Stampin' Up! Eastern Beauty for Christmas! Hey there! I created another Eastern Beauty Circle Fancy Fold card; this time for Christmas! There are two dies in the Eastern Medallions Thinets that work together perfectly to create a poinsettia! This is one of the few cards I've ever made without a greeting visible at first glance. I normally like my cards to "speak" to you from the front, but this poinsettia is just so gorgeous, it speaks on its' own! I used the Eastern Gold Vinyl Stickers again, adding a Gold Faceted Gem to the poinsettia center. To add more gold shine, I added an identical layer behind the Cherry Cobbler poinsettia cut from a Gold Foil Sheet! I used Eastern Gold Vinyl Stickers with Cherry Cobbler stamping to complete the almost "Scandinavian Christmas" look! Each package of Eastern Gold Vinyl Stickers has TWO sheets of TWO different designs for a total of 4 sheets and LOTS of stickers. There's no end to the combinations you can make with all of the images in the Eastern Beauty set! If you DO own a Big Shot, then the Eastern Palace PREMIERE Bundle is what you want! When you order this bundle with item code #147207, you receive the free pack of Very Vanilla Note Cards & Envelopes AND a free 40-ct package of NEW Very Vanilla Thick Cardstock! Stampin' Up! Eastern Beauty Circle Flap Card! Hey there! Today I have a cool new fold I discovered by my Stamper's Dozen Blog Hop friend, BJ Peters! Click on BJ's name to watch the video she made to get the dimensions and tips to make this card! I changed the color for my card from Tranquil Tide to Fresh Fig, but continued with the gold accents from the Gold Foil Sheets and Eastern Gold Vinyl Stickers. After adding the large medallion sticker to the 3 3/4" x 3 3/4" square of Very Vanilla, I stamped in each outside "v" with Fresh Fig. The circle on the flap is lots of gorgeous layers, starting with the gold heat-embossed Eastern Beauty greeting and ending with another Eastern Gold Vinyl Sticker on a Fresh Fig circle cut with a Layering Circles Framelit. When the flap is lifted, it reveals another Eastern Beauty sentiment, stamped with Fresh Fig ink! I love how this card opens in a tri-fold way to reveal more Eastern Palace images and Eastern Gold Vinyl Stickers! Stampin' Up! Wood Words Bookmark Card! Hey there! Today I have a fun and easy card idea with a bookmark on the front held in place with just two little die-cuts! I'm working on my New Catalog Open House projects, these might be one of the Make & Takes. I use the Wood Textures Suite from pages 158-149 of the new catalog. All are very rustic and sort of manly.The images in the Wood Words stamp set are rustic and distressed-looking, perfect to pair with Crumb Cake, Early Espresso, and Chocolate Chip! I used Wood Textures Designer Series Paper for the top layer of the bookmark, stamping directly on the DSP for a custom look! I used the coordinating Wood Crate Framelit Dies to cut out the stamped rooster. The Wood Crate Framelits contain 6 dies consisting of the rooster, a star, a half-moon, a heart, a tag, and a die to crate a "wood crate"! I adhered just the head, the front of the chest, and the feet of the rooster with Liquid Glue so I could slide the bookmark under the tail. I adhered a second rooster on the lower right side of the bookmark to complete the slot to insert the tag. The Wood Words images are an eclectic mix of florals, bold images, and phrases. A great mix! Another color combo for the same card idea. I used a 1" Circle Punch because there isn't a Wood Crate die for it. And a third idea using White Craft ink to stamp the star on Early Espresso before cutting with the Wood Crate star die. Stampin' Up! Thailand Achiever's May Blog Hop New Catalog Sneak Peek! Hey there and welcome to the Stampin' Up! Thailand Achiever's May Blog Hop! Our theme this month is a New Catalog Sneak Peek! The new catalog is right around the corner, and we are so excited to share some sneak peeks of all of the fabulous new ideas and products! You may just be starting the blog hop here at my blog - Carol Payne Stamps, or may have come from the person above me in the list. If you get off track, the full lineup below will help you move along from blog to blog. At the moment you are visiting Carol Payne. I decided to play with the wildly popular Daisy Delight Bundle! I didn't worry about it being too "perfect", I just stamped the center three times before re-inking. I love the varying shades you get when you do this! I stamped Basic Black daisies over the background, added a stamped and punched daisy, Daffodil Delight 1/4" Double-Stitched Ribbon, and a greeting from Label Me Pretty! I had to hurry to take these pictures because it was starting to sprinkle outside, but I love using natural light! I stamped and punched three daisies, curled the petals with my fingers, then adhered together with Liquid Glue. I added highlights with my White Stampin' Chalk Marker, and finished the center with a Gold Faceted Gem. I adhered to the card front with a double stack of dimensionals. Label Me Pretty and the Pretty Label Punch are fast becoming a staple stampin' tool! Because I wanted everything to be brand new, I reached for Just Add Text for the inside sentiment. Thanks for taking part in our blog hop! There's so many amazing ideas you don't want to miss! 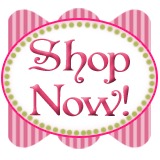 Remember, currently you are at my blog - Carol Payne, so check the blog hop line up below to see who's next! Stampin' Up! Happy Birthday Gorgeous! Hey there!I don't think I've told you about our kitten supply this year, but we seem to have a bumper crop! Out of four female cats (all outdoors farm cats) we knew of two litters of 5 each, but we didn't know what happened to the other two mommies' babies. Saturday Logan went to get a haircut and brought home a kitten, which was promptly adopted by the mommy with the oldest litter. Then Sunday we found three more kittens! We think we know which mommy they belong to, but we haven't seen her since Sunday morning. We are now feeding canned cat food and keeping them in a box overnight. The one mommy who adopted the extra kitten was trying to take care of them too, for a total of 9 kittens! If you need a "kitten fix", come on over! I started with an Old Olive card base with a layer of Birthday Memories Designer Series Paper. I punched out the balloons with the Balloon Bouquet Punch, mounting them on a Stitched Shapes Framelits square with a dimensional. I framed the white square with a square cut with a Layering Squares Framelit. I highlighted "IT'S YOUR DAY!" with a couple of Soft Sky Enamel Shapes. All of the images I used on the inside are from Happy Birthday Gorgeous too! It's an easy card, not flashy, perfect for a kid's birthday party. Happy Birthday Gorgeous and Birthday Memories Designer Paper will be available to order June 1st. Hey there! After thinking of all the swaps I haven't shared yet, I'm having another swap day! My last day of babysitting was last week, so today I feel like I'm officially on vacation! My teacher-daughter's last day of school is today, so her nurse-hubby is in charge of Liam and Darcy today. Don't mistake me, though, I LOVE those little people that call me "Mamie". I'm committed to loving them, teaching and training them for as long as they need me. While I'm excited to have a couple of months to relax, work on some home projects, and STAMP, I also look forward to the middle of August when I will be back to taking care of them again! First Carol Slack used Layering Circles and Ovals Framelits, Stitched Shapes framelits, and Retiring Basket Bunch stamps and Basket Builder Framelits dies. The "Happy Mother's Day" sentiment is from the also-retiring Oh So Succulent stamp set. Next, a swap by Susie Wood using the retiring Festive Birthday Designer Series Paper with the not retiring Window Shopping stamps and Window Box Thinlets. I'm not sure who created this cute Nemo-inspired card, but my Marion monthly stamp group loved it! We used retiring Festive Flower and Elegant Butterfly punches to create "Nemo". Jenna Roby used the retiring Woodgrain folder to create the background for these adorable Fox Builder Punch created raccoons! Birthday Banners provides the bannered-greeting! An anonymous creator used the soon-retiring Owl Builder Punch to create this congratulatory owl! Finally, Ruth Anne Lilley used circle punches, Sweet & Sassy Framelits, and retiring Sending Love Designer Series Paper for her Minnie Mouse!